Our experienced AWOL team balance expert trip planning with eco-friendly activities, creating thrilling, memorable travel experiences for you. 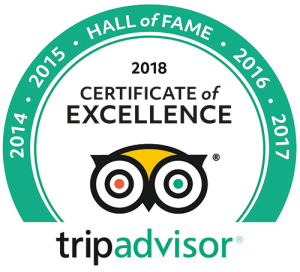 We’ve been at the forefront of responsible tourism since 2002, with repeated awards and happy client reviews to prove our success. Are you an active traveller keen to explore? Immerse yourself in the history and architecture of Cape Town on a City Cycle Tour, for the more adventurous, choose between single track trails on a mountain bike ride. Want to experience South Africa’s rich heritage? On AWOL Tours’ award-winning Bicycle Township Tour, you can interact with a local community, learn about Xhosa culture, try traditional beer, and watch a Sangoma work with medicinal herbs. Keen to spend time in nature during your stay? 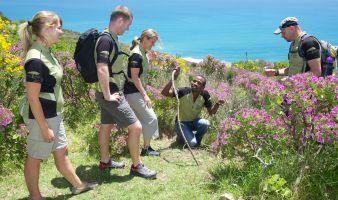 Our Table Mountain hiking tours offer opportunities to observe and appreciate local plants and animals up close. Discover the biodiversity that makes our Cape Floral Kingdom so precious. We cater to individuals, families and small groups. If you’re looking for a personalised tour itinerary, AWOL Tours can customise activities to fit your travel plans and budget, matching your preferences with your areas of interest. Whether it’s a half day cycling tour in Masiphumelele Township, a full day tour of the Cape Peninsula, meandering through the Winelands, or a trip along the lush Garden Route, we have the travel expertise to design a flexible itinerary to suit your needs. Take advantage of our Big Five tour special. 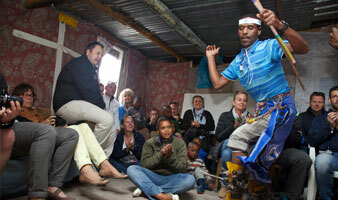 This three-day discounted tour package covers our top five Cape Town excursions. AWOL Tours also designs and facilitates tours for schools, universities, clubs and special interest groups. Whether your focus is on a particular aspect or a variety of themes, we assist you in creating customised touring packages. Our services include providing support vehicles and bicycles for cycling clubs; facilitating botanical studies in the Cape Floral Kingdom; organising wildlife encounters in the Kruger Park; and arranging pelagic birding cruises for birding clubs. Our accomplished AWOL Tours team can also provide your group with deeper insight into South Africa’s history and political transformation. Visiting the Cape Winelands vineyards is a huge tick of the box in most itineraries when visiting Cape Town. There are over 600 (!) vineyards to choose from nowadays, and wine tasting can sometimes feel like an overwhelming activity. Therefore AWOL Tours provides the unique opportunity to cycle through some of the world famous South African vineyards to discover the history and culture of these unique areas and include private tastings with the cellar masters or winemakers. 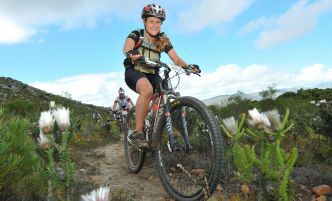 AWOL Tours is launching scheduled mountain bike half day Constantia winelands tours. We know that cyclists are sociable and many of our clients love connecting with other travellers. To make mountain biking tours more accessible for spontaneous travellers we are launching scheduled daily departures for a small group experience which we hope will become one of the preferred meeting places for our travelling mountain biking community. AWOL Tours is fully insured with SATIB, and is an accredited member of the South African Tourism Services Association (SATSA), guaranteeing your deposits. All AWOL Tours are private with guaranteed departures so that your adventures go according to your plans. No minimum numbers are required for day tour reservations. Tours can also depart with single travellers. The safety of our guests is a priority. As the business is located in Southern Africa, the directors have personal knowledge of any political instability, dangerous areas and are best able to advise travellers on which areas to avoid. All guides and operators are carefully selected to ensure they are qualified and have relevant experience to facilitate tours.